On-premises deployment requires the purchase of servers and other equipment for the installation. This equipment must be installed and the network configured, all of which takes time. Estimates for the proper amount of hardware needed are often little more than educated guesses, so resources can go unused for long periods, or budgets may be exceeded if it is discovered that additional equipment is needed. With a cloud deployment, capital expenditures are drastically reduced. Deployment can be almost instantaneous, and the application is also provides near-instant scalability. Thus, a cloud deployment has both lower upfront costs and faster implementation. One of the most outstanding changes in Sitecore 7.5 involves improvements made to data storage and handling. Formerly, Sitecore depended on SQL Server, which was inadequate for storing and managing big data efficiently. Version 7.5 can store petrabytes of data using MongoDB. An on-premises installation will require running MongoDB to use analytics, but this is not required for a total-cloud deployment. When deployed in the cloud, Sitecore is accessible from virtually any location in the world. Furthermore, multiple farms can be set up for content delivery, and should one farm fail, requests are automatically rerouted to other farms. Widely dispersed and redundant data centers can help improve performance through proximity to end users. This also ensures that all environments are not affected by regional disasters, regardless of how severe the local impact might be. High-profile sites are magnets for hackers. Denial-of-service attacks are common, and highly visible sites may also suffer data breaches. 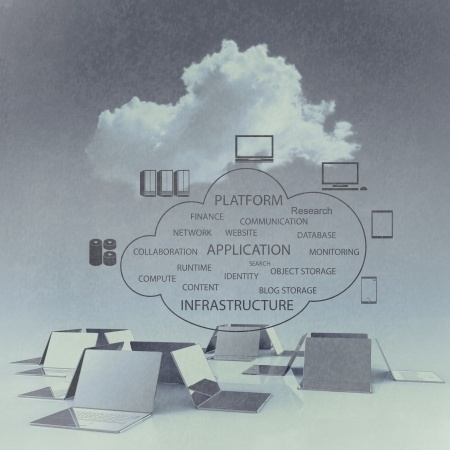 A cloud deployment reduces the public footprint of a data center. Every government has the right to establish laws regarding the government's right to have access to data stored on machines inside its jurisdictions. There are cloud providers with data centers physically located in specific countries, which allows additional flexibility for navigating the complex, muddy waters surrounding privacy issues. Sitecore's development environments in the cloud allow 24/7 collaboration. This is especially beneficial for large-scale projects with developers located in disparate time zones. Developers are not forced into idleness while awaiting the help desk to begin the workday and perform certain tasks, such as provisioning virtual machines. Sitecore 7.5 with xDB allows for the extension of data collection and analysis when using an on-premises deployment. However, the xDB cloud version does not permit the extension of data aggregation. Sitecore has stated that this will be addressed in a future release, so the degree of this disadvantage is debatable. Users in highly regulated industries may face potential problems with compliance. It will be necessary to ensure that all issues are met by the cloud deployment. For example, some regulations limit the geographical location in which servers must reside if sensitive data is stored on them. In most cases, compliance issues can be addressed by selecting appropriate data centers for hosting virtual instances or storing data. However, those who operate under restrictive regulations must be sure to include this step as part of ensuring a successful deployment. There is no single solution that is perfect for every enterprise. However, deploying Sitecore in the cloud offers numerous advantages, including cost, speed of deployment, scalability, enhanced development options and user accessibility. Whether the deployment is entirely in the cloud or certain components are kept on-premises, it is worth discussing the advantages of a cloud deployment with a qualified technology partner.